New Camtasia Animation Templates! 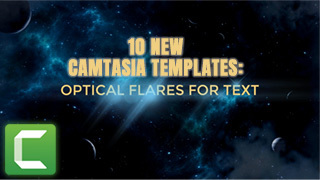 In this collection of templates, you’ll find new never before seen Optical Flares for text. 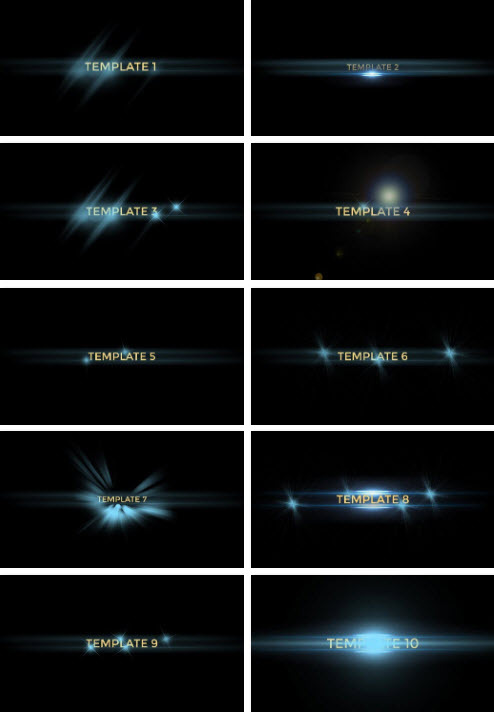 There are TEN different optical flare templates, each with its unique style and light effects. You can edit the texts, the animations of light effects, colors etc. etc. Optimized for Full HD 1920×1080 but scales down well. Installs into the Camtasia library and come with organized titles so you easily find what you need. After installation just drag-and-drop from to the Camtasia timeline. Large size, perfect for full HD videos and scales down well. This template was made with/for Camtasia 9 but will work in Camtasia 8 as well. Disclosure: Callouts.com is not associated with TechSmith, the maker of Camtasia. TechSmith Camtasia© is made by TechSmith Corporation. More info: www.techsmith.com. This Camtasia Template Collection is an independent Library Asset for Camtasia, made by SoftwareCasa/Callouts. SoftwareCasa is not associated with TechSmith Corp. This Camtasia Template Collection for Camtasia can be downloaded by members on www.callouts.com.